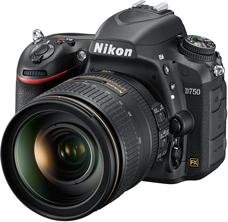 The Nikon D750 requires the EP-5B connector to use AC Power. It inserts into the D750 in place of the EN-EL15 battery and has a connector for the AC Adapter (not included). 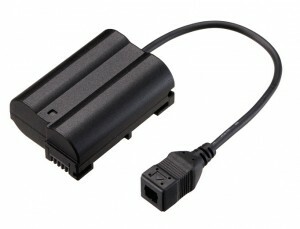 The EH-5B AC Power Adapter is also required to use AC power in the D750.